Happy hump day! Is everyone ready for December? Our stockings are finally hung by the chimney with care and this one is filled with lots of goodies already! Isn't this Pink Ink Stamp Company Felt Stocking the sweetest?!! All of the fine details just amaze me and they really pop when gold heat embossed! (Click on any photo for a larger view. Bold products are linked below in the supply section). I stamped and gold heat embossed the stocking onto white pearl shimmering cardstock, then colored it with Copic markers R20-22-24, YG25-17, B21-23-24, E42-43, C0-1. Time to get your sparkle on!! :) To finish this art piece, I adhered X-Press It's 6mm (1/4-inch) blue Glitter Deco Tape around the edges. I love all the pretty metallic sparkle this tape has, but yet it is thin (not bulky) and silky smooth . . . and the glitter doesn't rub or flake off! It is also repositionable, so if you make a mistake applying it, just lift off and re-apply! Finally, the stocking was popped up with X-Press It 1/2-inch Foam Mounting Tape. Above are just five of the 10 beautiful colors of tape that come in one package! X-Press It Double-Sided High-Tack Foam Tape -1/2"
The tapes are 1/4-inch (6mm) wide but I wanted thinner pieces to use for the ornament strings, so (shown above), I applied some of the tape to a scrap piece of cardstock, cut it to the width I wanted on my paper trimmer, then just peeled the thinner tape off the scrap cardstock and applied it to my card front -- the tape is repositionable! Then the die cut ornaments were popped up with X-Press It 1/2-inch Foam Mounting Tape. The full 1/4-inch width of gold foil tape was applied along the left side of my top folding card base, then the 4" x 5.50" card front was adhered with X-Press It 1/2-inch Foam Mounting Tape to the card base. Hopefully you can see all the dimension the foam tape adds to the card above! The "Happy Holidays" sentiment was also gold heat embossed. I sure wish I had some ornaments in these pretty, festive colors! Happy decorating, if you are still working on it like I am! Peace-Love-Joy and Black Friday Deals! Please join me today over in Ellen Hutson's the CLASSroom for a little Black Friday inspiration art, then hit Ellen's store to take advantage of these fabulous deals! EARLY BIRD SAVINGS: Shop early for best selection - the early bird does get the worm! For nine (9) hours beginning at 12:00am Friday, November 25th Pacific Standard Time, running through 9:00am PST, save 20% on every item currently in stock! ANNIVERSARY SAVINGS: If you are not an early bird, you can enjoy savings of 15% on all in stock items any time over the weekend - Friday, November 25th through Monday November 28th at midnight PST. You can use this code as many times as you like but we will not be able to combine orders. CYBER MONDAY SAVINGS: Didn't finish your shopping? You have one more chance to get great deals on remaining inventory while shopping in your pj's. Enjoy savings of 20% on any remaining in stock items on Monday, November 28th beginning at 12:00am running through 11:59pm PST. *These offers are not valid on previous purchases and cannot be combined with any other coupon code. Valid on in-stock merchandise only. category for this year's Anniversary sale! These products were discounted to us by the manufacturer and we're passing those savings along to our customers! Be certain to check it out early because these items will sell fast at these prices! You'll find more than 1000 popular items with an automatic 10% discount (no coupon needed) in our Anniversary Savings category! 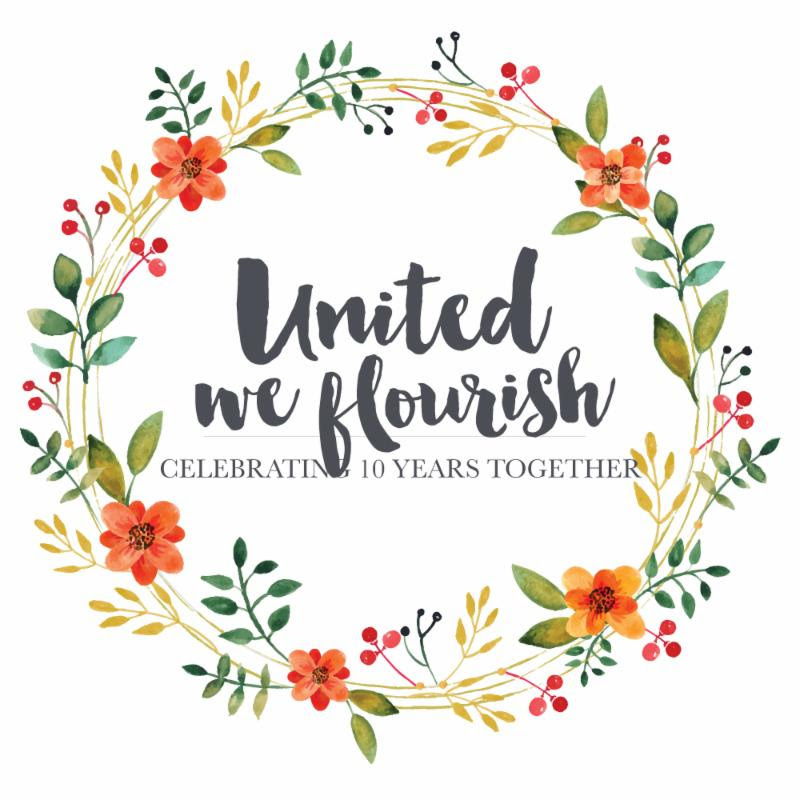 You are welcome to use any of the coupon codes above on items in the United We Flourish, Anniversary Savings and Clearance categories for incredible savings! Anniversary gifts - for YOU! When you place an online order during Ellen Hutson's anniversary sale (November 25-28) we are excited to include a free gift with every order! 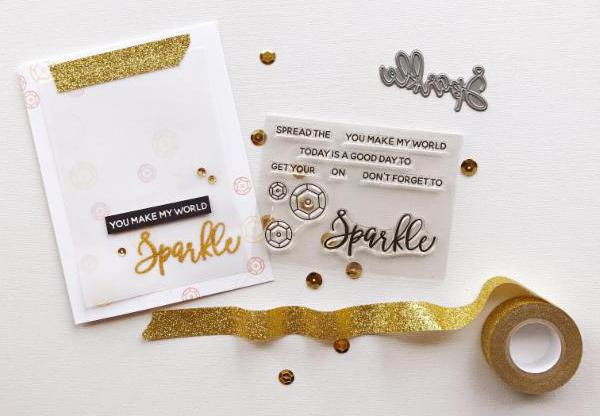 Get your sparkle on and spend $75* or over to receive our exclusive Spread the Sparkle stamp set and even more sparkle by spending $150* or over and receive both the stamp set and die (pictured above). Get your order in early and see what fun surprise we have slipped into your box - we have oodles of AMAZING items to share with you no matter the level! So don't delay, get your order placed ASAP! For all the details on how to create this, please join me over in Ellen Hutson's the CLASSroom today. And don't forget, all Taylored Expressions products are 15% off at Ellen Hutson LLC until the end of tomorrow, Saturday, November 12. 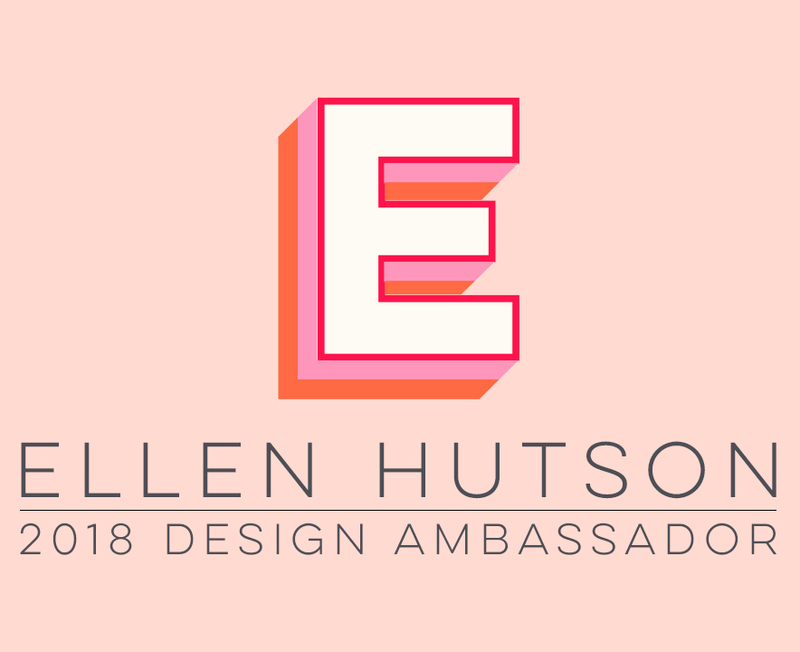 You can shop all TE products at Ellen Hutson HERE . . . Happy weekend! After the Perfect Medium dries, simply brush off any excess Perfect Pearl powder. Honestly, I couldn't decide how I wanted to color these Village pieces! Because of the sturdiness of the matboard, your options are limitless ... you could color them with markers, colored pencils, paints, apply ink directly from an ink pad, watercolor them, heat emboss, ultra thick embossing powder, cover them with glue and patterned paper, stamp patterns on them, etc., etc., etc.!! The matboard can take just about anything! Some of the Little Village pieces were layered together with lots of foam tape, to create dimension. The large tree behind the church is from another Taylored Expressions border die, Do You Wanna Build A Snowman? The Merry word and circle to cover one of the small round matboard pieces were cut from Silver Deco Glitter Tape. Hopefully, here you can see all the dimension this piece has. The blue Little Village building in front was die embossed, then a snowdrift from the cardstock die cut Night Before Christmas border was cut off and attached to the Village matboard building ... think of all the fun possibilities you have for decorating these fun Little Village Art Square Kit pieces! You'll find more Inchie Arts and Little Village inspiration over on Ellen Hutson's education blog, the CLASSroom, where they have Inchie Arts products featured all this week! You can also visit the Inchie Arts blog all this week as they inspire you with the Little Village kits! As they join Inchie Arts in celebrating all things Inchie Arts, Ellen Hutson has a sale of 20% off all in stock Inchie Arts merchandise, including Little Villages! You can find all the Inchie products HERE at Ellen Hutson LLC. Taylored Expressions Dies, Do You Wanna Build a Snowman?